With this interactive lore event, we’re also launching a research system with unlockable projects tied to the Balance of Power. You can find more information here. The short version: each week, factions will roll to see if they make a breakthrough on a project involving the pyrikhos, with bonuses based on their current standings on the scoreboard. Voting will open on Thursday the 17th and remain open until Thursday the 24th. In the meantime, you’re encouraged to start discussing your faction’s options with your factionmates. We’ve created some Reddit threads for this purpose. If by chance you’ve come to this page but haven’t yet declared for a faction in this arc — if your name isn’t on this list — feel free to do so now. See also the Hextech Revolution opener. Explorers have discovered vast quantities of strange purple sand — “pyrikhos” — in Shurima. It holds a great deal of arcane energy in a complex and volatile form. Recent discoveries have shown that it was created by a fusion of ancient Shuriman magic and the creeping contamination of the Void. 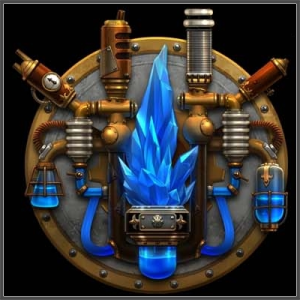 It is believed that this pyrikhos could fuel a worldwide hextech revolution. Piltover, Bandle City, and Zaun all have labs in the Shurima Desert. They’re conducting field research independently; since the start of the dispute, Piltover and Bandle City have pretty much completely stopped collaborating or sharing results. Some say that Bandle City is fed up with being Piltover’s sidekick and wants to use this new opportunity to surpass them at last. While Piltover and Bandle City merely set up some research labs, Zaun ite megacorporations rushed (suspiciously quickly) to set up a massive mining operation. These mines are currently working overtime to haul as much pyrikhos as they can out of the desert. There doesn’t seem to be an immediate danger of depleting the pyrikhos, but Zaun’s stockpiles are much, much larger than those of any other faction. (Although this is currently a secret, Zaun is using this pyrikhos to build a hextech-powered army: the HexKorps.) Piltover and Bandle City are mostly just taking samples, and are only sending small amounts back home. The League has enacted a temporary ban on any expansion of research or mining. That means that no new factions can come in to set something up, and none of the currently involved factions can add new labs or mines. Although Demacia can’t set up any permanent facilities or claim any territory, it is sending mages (including some Summoners) to investigate the origins of the pyrikhos and find a way to cleanse Shurima of the Void’s presence before a new Void War devastates Valoran. 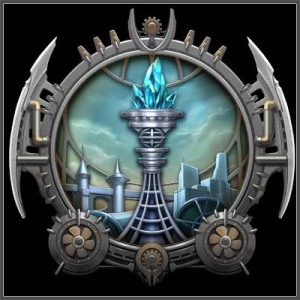 Relations with Piltover and Bandle City are more tense than ever, as Demacia accuses them of selling out the safety of the common people for the sake of economic gain. Demacia also fears that Zaun might use its enormous stockpiles of pyrikhos to fuel a military buildup and fill the power vacuum left by the recent collapse of the Noxian military after its defeat in Shon-Xan. However, it will not act without proof. Next, here are the lore events for each faction. A platinum fork chimes against a crystal glass. The pleasant hum of tipsy chatter begins to fade. From the top of the mansion’s spiraling staircase, Jayce adjusts his tuxedo’s bowtie and waves aside the servant’s offer of a megavox amplifier. He won’t be needing that. “Summoners and fellow Champions of Piltover! Our ingenuity, and our passion, have paved the way … no. Have laid the rails! We need a faster metaphor for our success after that last round of match reports, don’t we?” Chuckles and a few spirited shouts of “hear! hear!” rise from the party floor. “They say that politics and diplomacy are 10% protocol and 90% alcohol, so I propose a toast: to Piltover, the City of Progress!” He raises his glass high. Around the room, dainty crystal glasses are swiftly drained of the very finest Piltovian champagne. Sharply dressed servants politely direct you to Jayce’s expansive “study” — a fabulously decorated room that anyone else would probably call an auditorium with armchairs. Visit the Research System page for more information. Piltover’s starting project is The Velocitronic Rail, which if completed would revolutionize Valoran and bring enormous wealth to Piltover and its allies — while also allowing for rapid troop deployments in the event of war. 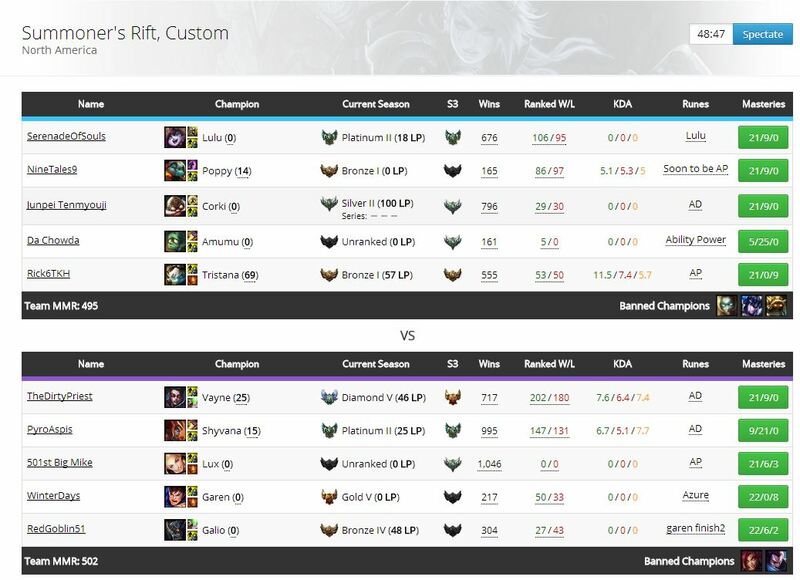 Piltover can select one of the following Champions to join their roster. Aggressive Research. Piltover will never do things the way Zaun does, but it can start to push the envelope a little harder. This would increase its Danger Level by 1, but in return it would score a breakthrough on a roll of 7 or higher instead of the usual 8 or higher. Spy on Zaun. Piltover can deploy spies to Zaun to try to figure out what they’re up to. They have a 50% chance of getting some information back to Piltover, and an independent 30% chance of detection or capture. Tech Swap with Bandle City. Relations between Bandle City and Piltover have been strained of late. A tech swap agreement would be a first step toward fixing that, and would generate a surge of research that would allow each faction to roll twice on each of their projects for one week, doubling their odds of a breakthrough for that week. People of Tomorrow. Piltover currently has a ban on biochemical augmentation research within its borders. However, it could unlock the People of Tomorrow project and start using pyrikhos derivatives to enhance human (and yordle, etc.) capabilities. They would not be engaging in Zaun-style reckless human experimentation, but there would be dangers and ethical dilemmas aplenty. Void Decontamination. Piltover thinks it might be possible to use the pyrikhos, and the lessons learned from studying it, to decontaminate Void-touched land, such as the Noxian wastelands, and to treat people suffering from Void sickness. This would unlock the Void Decontamination project. However, this would require conducting some dangerous research with Void energies and Void-touched materials, and would increase Piltover’s Danger Level by 2. You can use the Reddit thread to share your thoughts and argue for what you consider the best options. You cannot eat even one more cupcake. You’ve been feasting all night on the greatest gastronomical glories Bandle City has to offer. Buoyant music and gleeful chanting battles against the creeping power of the sugar coma. Five Champions and five Summoners sit at the table of honor before the Mothership Elders, basking in the worshipful gaze of Bandle City’s citizenry. Placed in front of each is a plaque commemorating their shocking upset victory in a critical battle on the Fields of Justice, in which they triumphed over the heavily favored Demacian lineup. There is an unlimited supply of sunberry juice. This party is off the hook. It will go long into the night. But you’ve been quietly taken aside by a serious-looking yordle and slipped a parchment invitation stamped with the Great Mothership Seal and enchanted so that none but you may open it, on pain of a deadly curse. You are told to open it before tomorrow morning. When you do, you will find solemn instructions to meet within the Mothership itself to discuss the situation with the Mothership Elders. The tone of the discussion within the sacred metal walls of the Mothership is a jarring contrast from last night’s riotous partying. Rumble puts forward the most shocking proposal: sending spies to steal Piltover’s secret research data. He insists that this is no time to live up to the stereotype of yordles as naive little fuzzballs, that if we let this chance pass us by then we are dooming ourselves to be Piltover’s sidekicks forever. So let’s not worry about playing nice. Let’s take what we deserve, just like every other nation of Valoran has done for centuries. Or we might as well all just start frosting cupcakes for a living. Bandle City’s starting project is Refuel the Mothership, an effort to refine pyrikhos into fuel to power the Mothership’s engines and explore the stars. Bandle City can select one of the following Champions to join their roster. Spy on Zaun. Yordle spies are famously skillful and stealthy. Yordle agents could try to sneak into Zaun and get evidence of what’s going on there. If their mission succeeds, they will come back with lots of information, including some of Zaun’s secret Void research. But if they fail, the repercussions could be serious. They have a 60% chance of getting the information they seek and an independent 30% chance of detection. Tech Swap with Zaun. As a possible first step toward an alliance, Bandle City could secretly share research data with some Zaunite R&D corporations. Both Bandle City and Zaun would get to roll twice for all projects in their first week, to represent this burst of research. There is a 20% chance that Piltover and Demacia would find out, and they probably wouldn’t be happy. Investigate the Pyramid of Akhtal. The Floating Pyramids are officially off-limits. Buuuuuut that’s really just a suggestion, right? Amumu knows the way into one of them, and thinks that a pyrikhos hex-bomb would break through the door. Maybe he’d even find some mummy-friends! But the League would not be happy about this breaking and entering: there’d be a chance (say 50%) of the Council finding out about this, which could lead to some kind of sanctions or punishments. And this particular pyramid is in a pyrikhos-laden region — the Void could have warped whatever’s inside. You don’t get a percentage for that; you don’t get detailed predictive statistics about terrors from beyond! Tech Swap with Piltover. Bandle City could attempt to repair its somewhat strained relations with Piltover with a tech swap agreement. This would also give their research a significant boost, allowing each faction to roll breakthrough checks twice in the first week. Steal tech from Piltover. Bandle City could deploy spies to try to swipe Piltover’s classified research data. If successful, they would at the very least get the “tech swap” bonus (two rolls per project for the first week) and might get even more. They estimate a 70% chance of success and an independent 30% chance of being caught. Void Decontamination. Bandle City could, if it’s willing to take on the risk, engage in some dangerous experimentation with pyrikhos and the Void ooze currently contaminating Noxian land, searching for a way to reverse the process. This would launch the Void Decontamination project, but raise Bandle City’s Danger Level by +2. Also, you can use the Reddit thread to share your thoughts and argue for what you consider the best options. Your nose and throat are still burning from the vapors. The tour of the classified research facility was at least figuratively eye-opening. The most astonishing sight was Viktor’s hextech battletank, and its main gun, a techmaturgic death ray, which vaporized three ranks of Demacian plate armor in one flash of light. Of course, the barrel then fractured and exploded. The bang started a ringing in your ears that’s still there, and — though you’re probably just imagining things — as it fades it starts to sound less like simple ringing and more like voices. Shrill alien voices whispering, and … okay, you’re definitely just imagining this. But it left you shaky and disoriented as you listened to Singed chattily describing his plans to replicate on a massive scale the most promising strains of biochemical weapons from his recent “field tests” in Shon-Xan. He said that the pyrikhos we have so much of could be mixed in, replacing much rarer alchemical ingredients and allowing such large-scale replication in a breathtakingly (his choice of word) short time. You were grateful for every one of the five inches of reinforced magically warded glass separating you from his demonstrations. You take your seat in the Council chamber. The doors and windows are shut, locked, and hex-silenced. Within a few minutes, half the room is standing and shouting, Champions and Summoners alike. An alarm begins to blare. Everyone goes silent for a few seconds, before people begin contacting security over televox links. A display materializes and shows a scene outside the building: a huge crowd of protesters facing down riot cops and megacorp security contractors. Rocks and bottles burst against shields. Another crowd starts forming alongside the protesters. They don’t seem friendly to their cause: they see the riot cops getting ready to move and aren’t expecting them to be too discriminating in their application of force. Jackets are grabbed, punches are thrown. A police captain raises a megavox amulet. “YOU ARE ALL UNDER ARREST.” He nods, and the ranks of riot cops begin to advance in lockstep. Zaun has two starting projects. The HexKorps is a plan for a new hextech army that could rival the might of Demacia. Pharmakon II is a potent arcano-elixir concocted using both pyrikhos and Void ooze from Noxus, which could be used to create a new breed of sorcerer. Zaun can select one of the following Champions to join their roster. Sabotage Piltover. Zaunite agents could try to sabotage Piltover’s pyrikhos labs, mixing a modified, double-hexed form of pyrikhos into their samples. There’s a roughly 70% chance of success, though it’s hard to predict how severe the consequences will be: it might be trivial, it might be disastrous. But if discovered — and there are better than even odds of that — it could escalate the conflict before Zaun is ready. Mutant Registration Act. There is a proposal to require that all mutants in Zaun register with a licensed megacorporation and “volunteer” to fight should a national security situation arise. (It’s fairly clear that the actual impact of this law would be to immediately draft Zaun’s mutants into a superpowered army.) This is strongly supported by mining interests, who are concerned that Demacia might grow frustrated with the League adjudication process and simply deploy troops to seize the pyrikhos mines. Zac and Janna would absolutely refuse to fight for Zaun should it pass such an act. Void Energy. Zaun knew about the Void connection before anyone else — even before Merricurry, though they lacked her refined understanding of the situation. Combining her revelations with their secret caches of experimental data would allow them to, if they’re willing to take the risk, directly pursue Void research. This would unlock the Void Energy project. Though this would increase Danger Level by 2, it would potentially lead the way to methods of reducing Danger Level and controlling the energies of the Void toward useful ends. HexKorps Extreme Measures (HKEM). The HexKorps program could be expanded with the HKEM project, giving Singed free reign to mass produce the strategic bioweapons that Noxus has deployed on a smaller scale in previous conflicts. There would be a +1 increase to Danger Level associated with letting Singed run a major project like this. You can also use the Reddit thread to share your thoughts and argue for what you consider the best options. 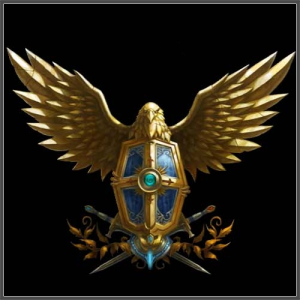 Prince Jarvan IV has called Demacia’s Champions and Summoners — including yourself — to the inner sanctum of the Demacian embassy within the Institute of War. The walls are inscribed with precise rows of silencing glyphs and counterspell enchantments, which have begun to glow a soft cyan in the presence of so many magic users. It gives the air a strange sharpness, a sort of electric tingle, which goes to set everyone on edge just a little more than they already were. He steps up to a large table, upon which stands a topographic model of Runeterra, carefully set with figurines and tokens to map out economic and military power. He points at a ribbon of bright purple running from Shurima up through Noxian land — snaking around the most dangerous Void-haunted territory — and into Zaun. Demacia’s starting project is Cosmic Purity. Demacia is trying to find ways to fight back against the alien power of the Void with their holy magic. This would not only allow them to cleanse contaminated land and cure the Void-sickened, but would also give them an advantage in battle against the Void, should it come to that. Demacia is not pursuing pyrikhos research, but their considerable political power allows them to potentially draw from a wide range of Champions. They can select one of the following Champions to join their roster. Stance toward Pyrikhos Experimentation. Demacia currently calls for a halt to all use of the Void-tainted pyrikhos. 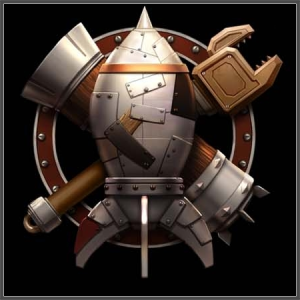 However, it could move toward a compromise stance, and focus on helping Piltover and Bandle City find a way to use it safely. Spy on Zaun. Demacia can dispatch agents to Zaun to spy on their experiments. They’d have a 50% chance of success, and a 50% independent chance of being discovered or captured. Secrets of Shurima. Demacia could have its mages start aggressively researching Shuriman magic in an attempt to understand the pyrikhos, and potentially how to destroy it. This would unlock the Secrets of Shurima project. It would, however, increase Demacia’s Danger Level by 1. Summon Aatrox. Demacia could summon Aatrox to help rally its cause, as a second new Champion. Desperate times call for desperate measures, but many say that they would rather see Piltover triumph than turn to Aatrox, who not long ago lent his sword to the Void both on and off the Fields of Justice. Summoning Aatrox would increase Demacia’s Danger Level by 2, and could ultimately corrupt Demacia’s noble cause. And here’s a Reddit thread where you can share your thoughts and argue for what you consider the best options. When will this event end? I thought it would with the first rolls but it seems to not have done so. Voting will remain open until Thursday the 24th. Haha. Honestly, I just got really tired writing that and by the time I got to Demacia I just fell asleep. But I might spruce it up later.